The Renishaw Equator has transformed the metrology industry. This system is a plug-in and play system, and it has the ability to save your company time and money in the manufacture of precision metallic parts. The Renishaw Equator is able to save money by providing 100% inspection for your part by creating a 3D model image of the required part before printing. This allows for a reduction in wastage on production costs, as it will be perfectly replicated the first time, every time. In addition, the system is so easy to use that you will not need to spend a fortune on specialist staff training, as it comes with comprehensive instructions as well as video help. This really is a revolution in the metal replication industry. This one-time investment will pay for itself in reducing your overall operating costs and the quick duplication of the automated process, will ensure your productivity is increased. Renishaw is a UK firm that was created John Deer and Sir David McMurtry in 1973. Initially producing a device designed to measure the fuel pipe on a jet engine. The company grew and today has more than 70 offices in sites all over the world. The Renishaw Equator was developed and is well known today as its uses grow. The popularity of 3D printing has catapulted it into one of the best ways to obtain automatic, accurate measurements of metal components, enabling it to be replicated or changed to order. If the design spec of something needs changing, then the Renishaw Equator can take care of this task, with complete accuracy and speed, allowing you to create the required part in half the time it would take with the co-ordinate measuring machine – the only alternative available previously. The Renishaw Equator compares the component being manufactured with the master part and alerts you if there is any kind of an error in the specification. Simplified process – load the part to be replicated and push the button. 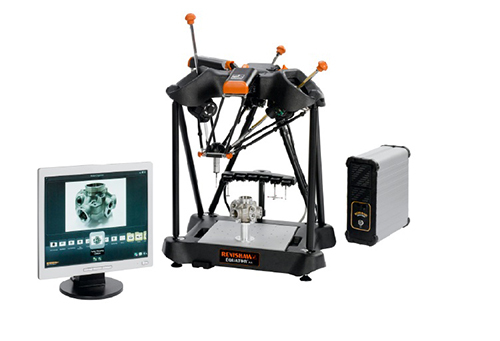 Get Renishaw Equator from Willrich Precision! Willrich Precision are proud to be able to offer the Renishaw Equator at an affordable price. Our specialized instruments and accessories can be sent world-wide. Of course, we offer a range of other precision instruments and accessories. If you are looking for advice or further information, why not contact our knowledgeable staff? We are here to help and can offer great advice with no obligation any time. Contact us today! Do You Know How To Calibrate A Roundness System?